They Said I Couldn’t Fire The Boss! Hello Friend: My name is Bill Simms and I live in the State of Washington. I’d like to tell you how I went from working 10 hour days at the Postal Service to taking annual paid vacations and working from the comfort of home. It’s hard to believe it’s been over ten years since I fired my boss at the US Postal Service. That’s me in the postal vehicle on my last day at the post office in 2003, on my way to my last mail delivery. You may be wondering why I gave up 21 years of postal and military service and just walked away leaving one of the best jobs in the country, years before I would be eligible for a retirement pension? You may even wonder if my story is real. Well I assure you it is. Continue reading and I’ll tell you how a diligent part time effort on your behalf could turn into a full time income. Part Time Effort turns to Full Time Cash! My wife SunAe and I started our first home based business back in May of 1998. We were looking for ways to save money and came across a fairly new company that had services that would save us a bundle. We were both excited about the business that the company offered and paid the extra money to become business owners. With services people wanted and needed we went to work sharing our business with others, first locally and then in 2001 I began marketing nationwide on the internet. All the while I continued my full time job as a Rural Letter Carrier in Everett,Washington. The business grew because we had the four required ingredients you need in every successful home business. A solid product or services that are affordable for the masses. The ability to earn a monthly long term residual income. 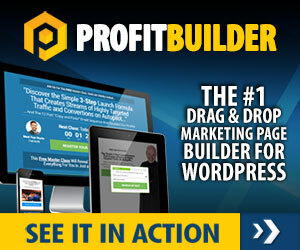 A marketing system that will give you every advantage for success. In 2003 working as an employee for the US Postal Service I drove a Postal Van at work. Fast forward to today… I was one of a couple dozen people that were awarded a brand new Cadillac CTS from the same company I had joined in 1998. It’s a beautiful car and anybody that makes a serious commitment to achieve success in business can do the same if they put their mind to it. While working the business on a part time basis and maintaining full time employment at the post office I was able to build up a repeat monthly residual income of over $3,000 a month. That was Sept 2003, the month that I fired my boss and started working at home on a full time basis. That same month my wife and I flew off to the Bahamas to celebrate winning our first Top Producer’s Trip with our company. Back in 1998 when my wife and I joined, the company owner had said “Give us two to four years of diligent effort and and you will have financial freedom.” Many had made it in two to four years, it took us FIVE years. Had we never made the commitment to reach that goal in 1998 , I would still be working at the Post Office delivering mail in 2016 at the age of 58. In contrast, by working the business diligently on a part time daily basis I was empowered to be able to create my own destiny instead of working forty plus years to make the boss’s business successful. In the years since leaving the Post Office, I have improved on my online internet marketing skills. Since 2003 SunAe and I been promoted to the top management level with our company and have won 7 out of 8 Top Producer Trips, to great destinations like Vancouver BC, Hawaii, an Alaskan cruise, Quebec City, Canada, Playacar Palace Resort in Rivera Maya, Mexico and Colorado Springs, Colorado. So it is really possible to earn a significant income online. With the right training and the right tools anyone can do it. Sure you can do local marketing, home parties, calling on businesses etc. There is a time and place for that all of that. But the way technology has developed in the past decade, being self employed. working online and on the smart phone has really made things easy. If you are considering self employment and would like some advice in that matter, call me directly or text to 206-458-3178.